Today I came home from my morning rush-hour drop-offs and I noticed something bizarre: there is a garden sprouting on my roof. You see, this birthday isn’t one of the biggies. I’m not turning 12 or 18 or 30 or 50. But this birthday, I realized a few weeks ago, actually is a biggie for me. It’s my JewishMOM birthday: 41 is the numerical value of “Em” or mother in Hebrew. And when I figured this out, I realized that I could print up my CV from five years ago (it’s been at least 15 years since I wrote up a CV, but let’s just imagine…) and I have NOTHING to add to it, except maybe changing the number of children I have (do you put the number of children you have on a CV? I don’t even know). But SO MUCH has changed over the past 5 years. My kids still sometimes stress me out, but much less than they used to. My house is still a mess and I’m still disorganized, but I’m pulling things together slowly, slowly– year by year. I still suffer from lack of self confidence, but I’m getting stronger IY”H. I still have my down moods but I’m feeling better than I ever have. I still suffer from lack of faith but that lack is lessening as I grow older and the years pass by. For years I couldn’t really understood the phrase “personal growth.” What does THAT mean? Personal change I understand, but personal growth? But today I think I do. Why Do I Have a Harder Time with my Child than Anyone Else? So moving. Halevai alai in 15 years! Mazal tov! Mazal tov! That was cute, enjoyed reading it. Happy birthday! Happy Birthday! Thank you for an inspiring website and interesting articles. Loved this one. mazal tov, happy birthday to you. may it be a meaningful growing year and may you and your family be blessed with peace, protection, and lots of spiritual and material success! thank you for all the work you do to inspire and support us jewish moms all over the world. it is truly good work!! ok, i cant wait to say some of these things myself! Happy Birthday! lots of growth and mazal until 120. Lots of nahat and joy, happy birthday! You are an inspiration and beautiful person. I also turned 41 on 11 Dec & can relate to what you said! I am loving being in my 40’s!! Happy birthday! Mazal tov! The best is yet to come so keep looking forward with optimism and emunah. Thanks for all your inspiration. Treasure these years when the children are small, Chana Jenny. Treasure every minute. I’m not saying it’s easy — it’s not — it’s exhausting. But then the years pass and the children become adults – forever. You can never get these precious years back. Your babies are grown. Mazel tov Chana! I love how you were able to perceive the plants growing on your roof as a gift from Hashem, a very positive way of seeing things! I think I too would see it this way. 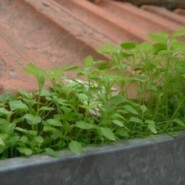 There are many people out there who would be bothered by the “weeds” growing on their roof and get rid of them as fast as possible! This is just one example of your very positive outlook, and through your wonderful e-mails you influence so many of us to be more positive in our lives. May you go from strength to strength! You are a very special person and your cv overflows with goodness, kindness and wisdom. Happy birthday! Mazal tov! i enjoyed how candid you were in the article. Very inspiring. Thank you. Thank you for giving us all a gift for your birthday! Many Blessings for a wonderful year ahead.